We’re excited to announce that Hackbright Academy has launched Hackbright Prep, a 4-week evening course where students learn coding fundamentals while preparing for the Hackbright Fellowship application process. We’ve interviewed Jessica Earley, Director of Part-Time Education, to get more insight on this new course. We saw a growing interest in women wanting to apply to our full-time bootcamp and ultimately change careers; however, they wanted something light to test their interest and also prepare them for the admissions process. With Hackbright Prep, you’ll learn the foundations of programming, pair programming and build a personal project while solving admissions coding challenges to help prepare you for that next step. Anyone with 10 hours of coding practice can join, and it’s most helpful for women who want to see if their hobby of coding could be more. If you’ve wanted to go to bootcamp but either don’t have the prerequisite coding skills, or aren’t yet sure you want to make that level of commitment in money and time, Hackbright Prep is designed to offer you a good place to start with personal advising and a more modest commitment. If admitted to the fellowship, students will receive $1,500 off their tuition. What will students get out of the class? That’s a long list! You’ll learn the foundations of programming, programming logic, basic data structures, go through Admissions-level coding challenges and much, much more. (To get the full list, you can check out our Hackbright Prep page). Throughout the course, you will have an advisor from the education team who will meet with you regularly to track your progress and help with code reviews. You’ll also build a personal project using all the concepts you learned in the course. What makes this different from other prep courses? The biggest difference is what Hackbright is known for: You’ll learn to code in a community of like-minded women who have similar passions as you. We have seen firsthand how much further women get in their coding skills when they have a supportive educational team and student body around them. How is Hackbright Prep different the previously offered Intro to Programming course? This class is designed specifically for those interested in applying to bootcamps and takes into consideration the skills needed to be successful through the application process. It’s less for those who have no experience. We require 10-hours of coding experience and it’s for those who have a deep interest in pursuing a software engineering career. The advisors and educational support teaches with the student’s long-term intention in mind. Will students be able to apply to bootcamps upon graduating? Yes! The admission team will come in and share the admission process. Students will also have code workshops where they will be working on solving code challenges to prepare them to apply. 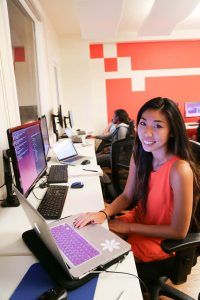 Are Hackbright Prep students guaranteed to get into the Hackbright Fellowship? Every student is unique, with different learning styles and absorption rates. There’s no guarantee of enrollment into the Fellowship. However, you are definitely going to be given the tools to be properly prepared and you will get a sense of the Hackbright style. What are you most excited about this class? Find out more details about our Hackbright Prep program here or come by our campus to meet the team! Jessica Earley is the Director of Part-Time Education. 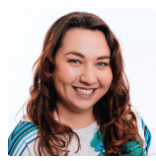 Prior to Hackbright, Jessica spent 10+ years in non-profit and helps as a leader in Google Developers Group, Women Techmakers, Girl Develop It, Latin@s in Tech and DevelopHerDevelopHim. Jessica believes that education is a powerful medium for empowerment and self-discovery that can lead to unprecedented opportunities.